Water damage can potentially cause mold growth in your home or business, therefore it is important to have your water damages cleaned promptly and professionally. 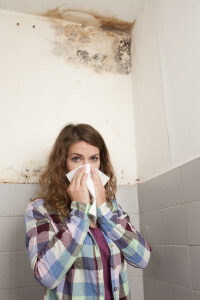 If you think you might have a mold problem, call Cajun Duct Cleaning & Sanitizing. In most water damage situations – if action is taken immediately, mold growth is not a problem, and we can safely restore your home or business to pre-loss condition. However, after the initial 72 hours after damage, mold can become a serious threat. The need to address the presence of mold can only be determined by an on-site, indoor environmental inspection. In some situations an indoor air quality professional will be required to create a restoration plan for your home. Cajun Duct Cleaning & Sanitizing is experienced at carrying out the assigned plan and working to make it safe. Sand all affected areas down to bare wood. Hepa vac walls, ceilings, studs, etc.